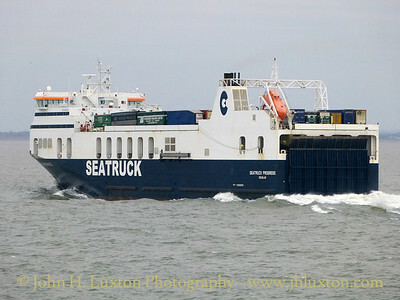 Seatruck Ferries ro-ro ships in action during 2015 and 2018. 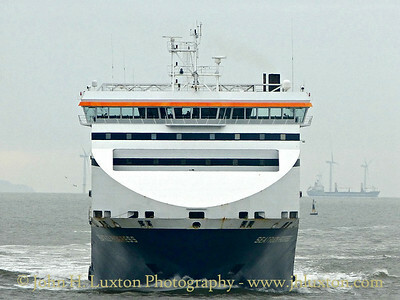 Images are displayed in reverse chronological order with the newest first. 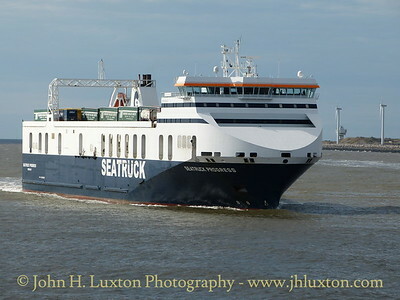 SEATRUCK PROGRESS inbound for Langton Lock, Liverpool from Dublin. 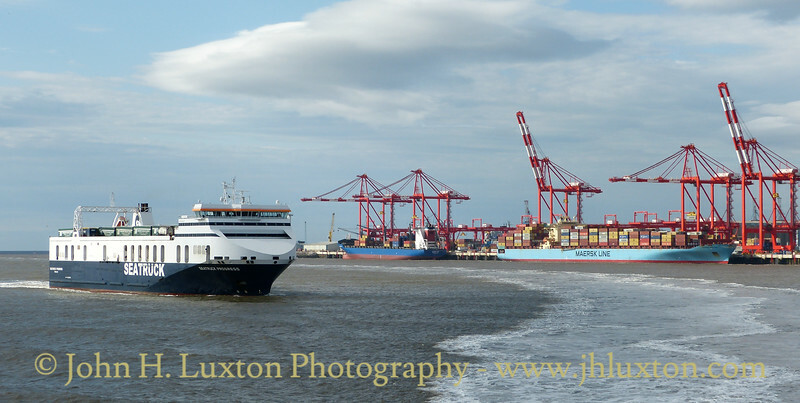 SEATRUCK PROGRESS inbound for Langton Lock, Liverpool from Dublin passing DEMETER and MAERSK SINTOSA at Liverpool 2 berth. 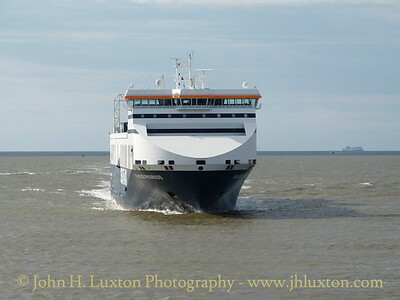 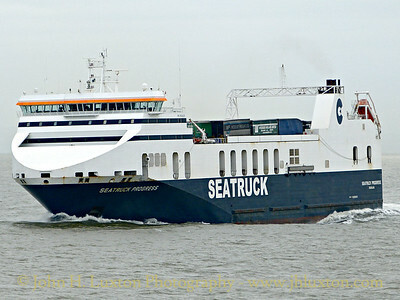 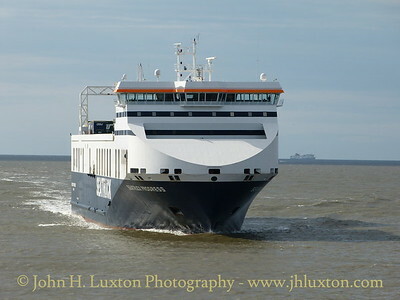 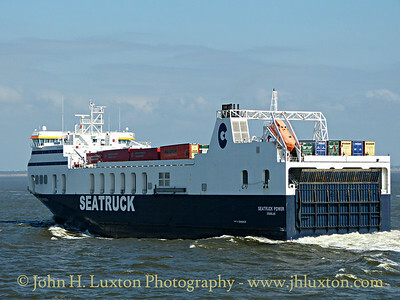 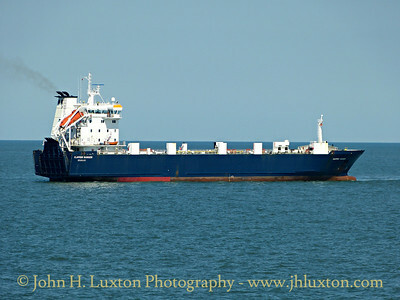 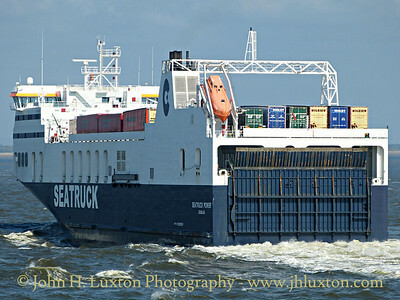 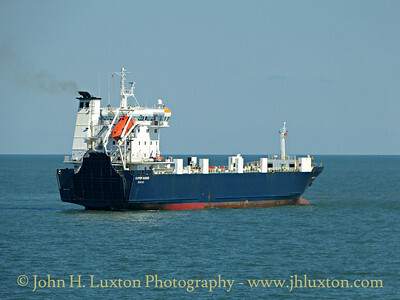 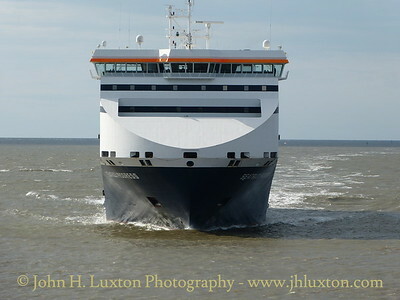 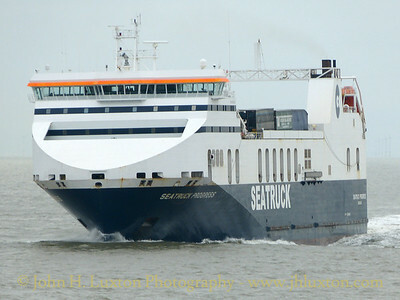 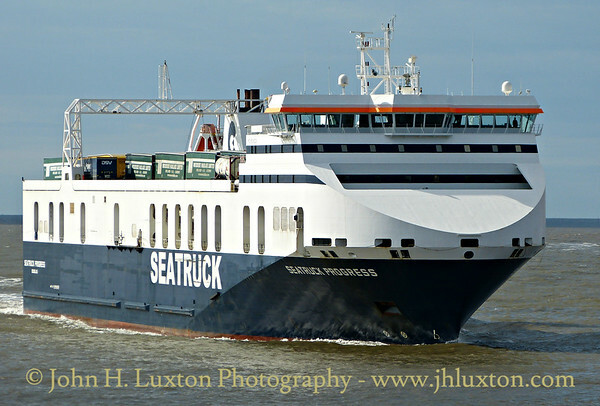 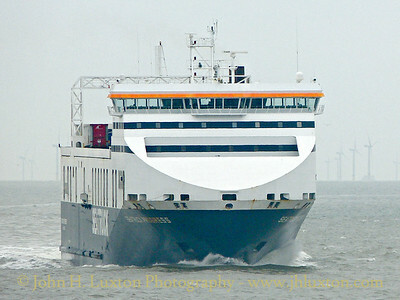 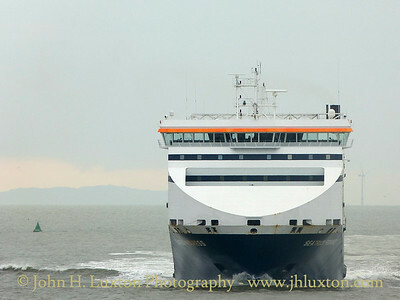 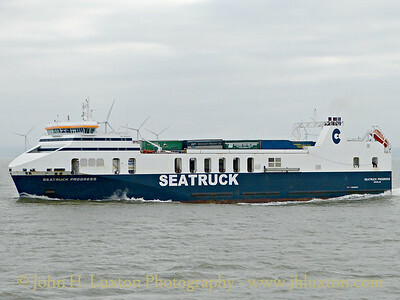 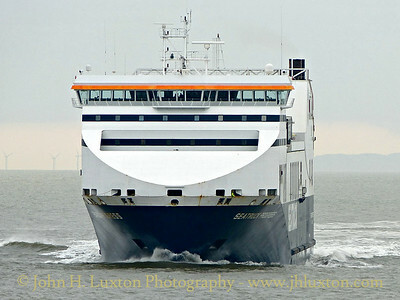 SEATRUCK POWER photographed from MANANNAN inbound to Liverpool from Dublin. 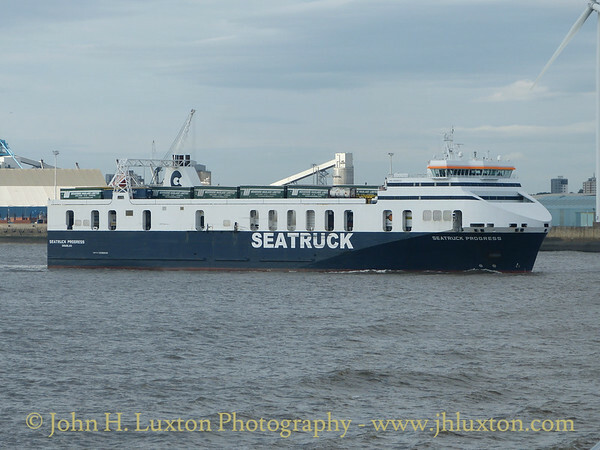 SEATRUCK PROGRESS inbound for Liverpool from Dublin on Saturday March 19, 2016 photographed on Crosby Bend from MANANNAN. 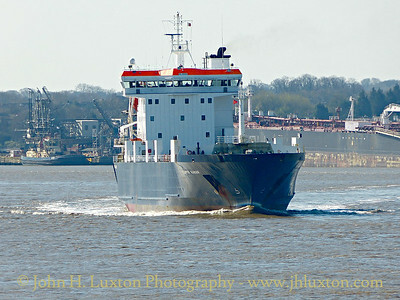 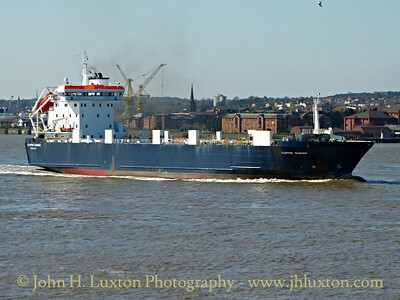 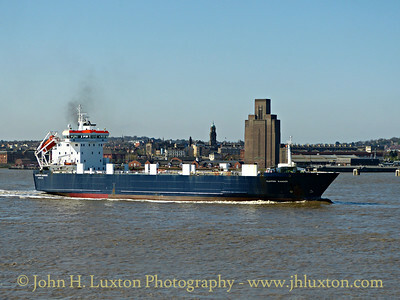 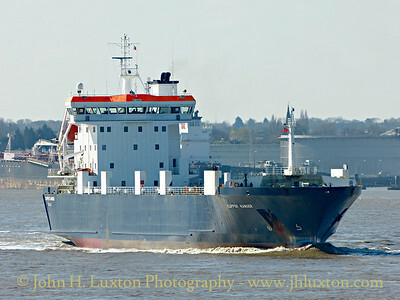 CLIPPER RANGER departed Cammell Laird heading for Stornoway where she operates under charter to Caledonian MacBrayne on the Ullapool to Stornoway service.